You get optimal feed efficiency for each animal on your farm. 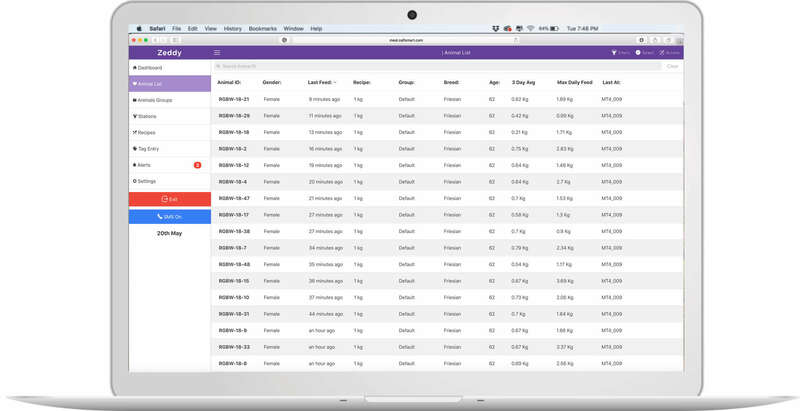 Manage and monitor your herds feed consumption using your phone. A towable automatic dry feeder with 0.5 cubic meter capacity. 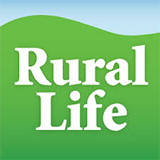 All dry feed consumed is recorded for each animal. 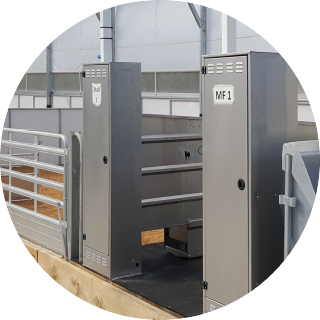 CalfSMART Automated Calf Milk Feeder is an in-shed feeding that delivers the right blend of whole milk, CMR and nutrients to each and every calf. Log in online anytime to our dashboard on your Mac, PC, tablet or phone to get a real-time view of your animals feed history, including a number of reporting features. 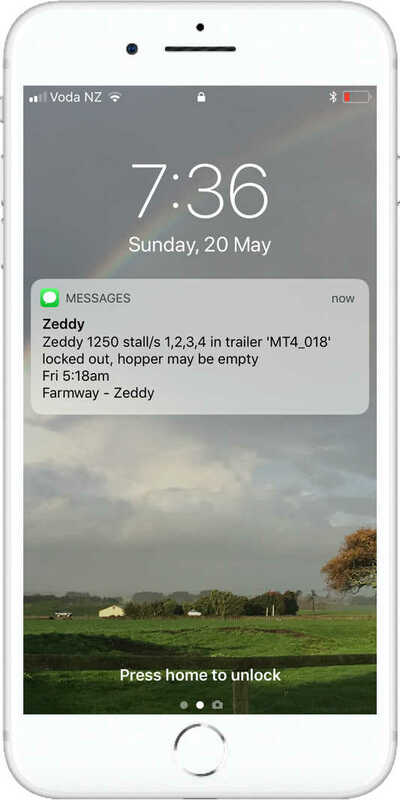 Receive text alerts when the hopper is empty, so you don’t have to go to the paddock to check the status. 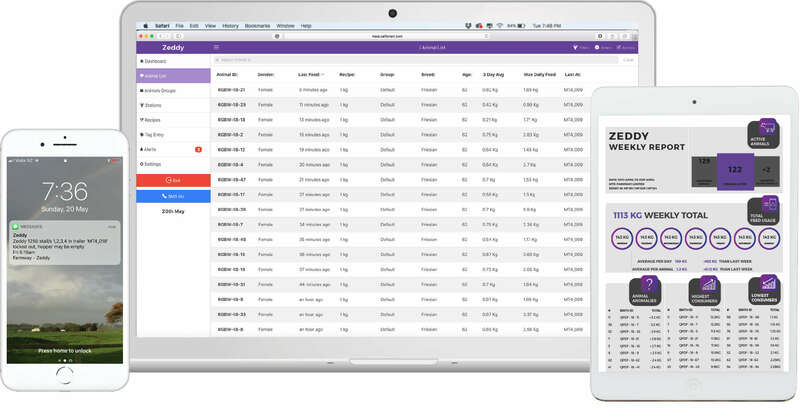 Zeddy dashboard allows you to view the detailed feed history of each animal registered in the system, update feed allowances and view feed usage. Receive weekly email reports straight to your inbox, with detailed info on feed usage, and animal feed anomalies along with other relevant information. 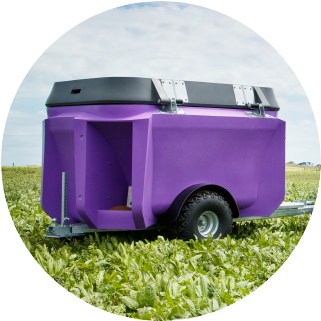 Zeddy is an agri-tech company based in Palmerston North, New Zealand, which has developed technology to produce unique, patented products to feed animals with individual diets for both meal and milk. 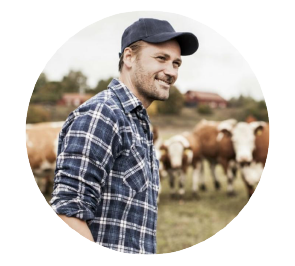 The core principle of the business is a desire to optimise nutrition for each and every animal. 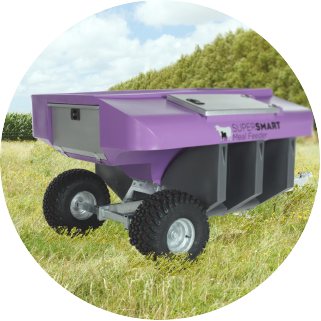 Zeddy 1250 and 500 ensures maximum productivity for feed costs by making sure each animal is receiving the correct amount of feed. Scientific studies have proven that optimal rearing in the first few weeks of the calf’s life, will lead to considerably higher weight gain & milk production. With CalfSMART this happens. 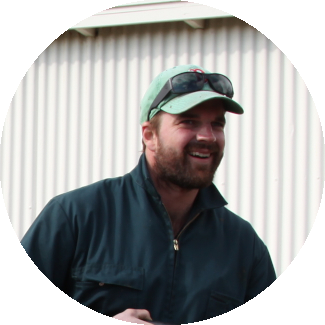 "With our new automatic feeders all of our heifers reached weaning weight much faster than if they had been manually fed with a lot less effort from the team and myself." 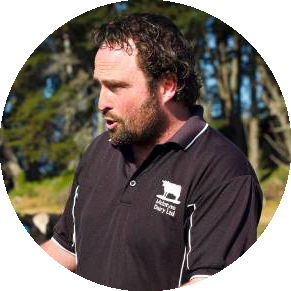 "Its great being able to be at home and check exactly what each cow is consuming and then, get a message to tell me the feeder needs to be filled"
"I have owned a CalfSMART system for six seasons and with automation, it allows me control over each individual calf rather than allocating intakes based on an average, even within a group situation."